The Haven Hill Festival is a celebration of Edsel and Eleanor Fords’ historic Haven Hill Estate and the natural beauty and historic wonders of the Highland State Recreation Area in the townships of Highland and White Lake, Michigan. The 2018 family event is currently scheduled for Saturday, August 25. We plan to feature vintage Model A Ford cars from the members of the Livingston A's driving club, an Antiques and Collectibles Sale at the Edsel Ford Barn, an 1860’s exhibition vintage base ball game, the beautiful new MDNR Cedar Creek Trail, guided short hikes, summer foods and beverages, Haven Hill art and history displays, and children’s activities in Goose Meadow. Baseball fan? 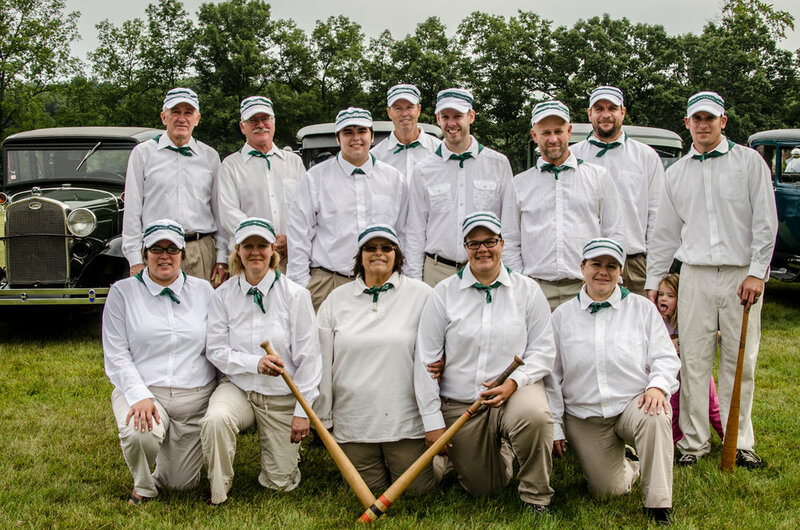 Bring along a picnic blanket, sun umbrellas, and folding chairs to stay and watch the historic base ball game played the way the American sport of "base ball" originated in the 1860's. The arrival of the Model A Ford cars and the 1860's Base Ball game is planned in Goose Meadow at 10:00 am. Several locations throughout the park will provide other exhibitions and activities during the Festival such as an art display at the Gate House, self-guided tours of the Haven Hill Lodge grounds, and the Edsel Ford Barn. Some volunteers will be dressed in period costumes. The Friends of Highland Recreation Area (FOHRA), is a non-profit organization supporting the Highland State Recreation Area in Highland/White Lake, Michigan, and the historic Edsel Ford Haven Hill Estate structures within its boundaries. The Haven Hill Festival is an alcohol-free, family-oriented event, and it will be held on it's 10th year in 2018 at Highland State Recreation Area. The celebration has grown yearly, and will continue to positively benefit all of those who attend as well as the surrounding communities now and into the future. Join the Sierra Club for a 5 mile hike through hardwoods and wetlands in a park that is one of lower Michigan’s best kept secrets. Meet at the trailhead parking area in front of the historic Edsel Ford Barn (follow main road from park entrance 1.4 miles). Haven Hill Tour for the North Oakland County Wild Ones chapter. Visit their website for more information. Time and date tentative. Planning is underway! Come out and support the Friends of Highland Recreation Area by working at the park. Find the Friends at the Gate House, Edsel Ford Barn, or up on Haven Hill. 9:00 am until 3:00 pm. Inclement or adverse weather dependent.